Download it now for your Apple or Android device. 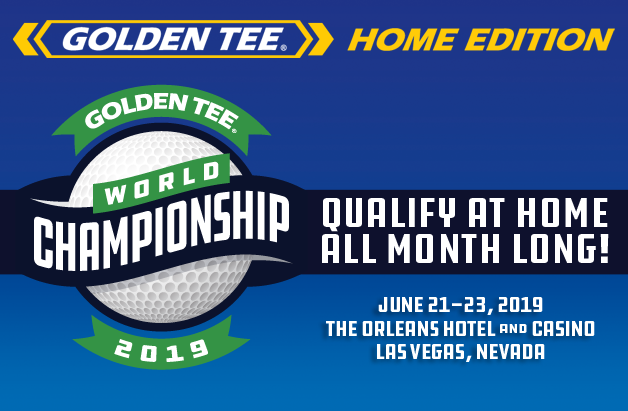 Welcome to a new era of Golden Tee—a time when scores like 40 under par are no longer an outlandish dream but a reality. A time when you can enjoy some of the most difficult holes the game has ever known, all in one 18-hole collection, and follow it up by playing a course complied exclusively of par-3s. It is all very real now thanks to the GT Caddy—our Golden Tee player app that serves as a companion for the GT arcade game in more than 17,000 locations around North America. The app, which is available on all Apple and Android devices, doesn’t just give you a mountain of stats and customization options. (It does this, of course.) But now, thanks to the addition of our custom Freaky Friday courses, it allows players to customize who they play, when they play, what they play for and the unique places that they can tee off from. Freaky Fridays have become one of the most popular additions Golden Tee has ever known. Now, after existing only for a day on the Daily Contest, these courses are selectable inside the Invitationals portion of the app—a place where players can challenge friends in private contests for bragging rights or cold hard cash. Play a course littered with drivable par-5s. Or another that is nothing but reachable par-4s. Travel the world and see some of the most unique places Golden Tee has been since LIVE launched. Or take on your fears head on and play the most challenging course the game has ever known. Best of all, our encyclopedia of Freaky Friday courses is dynamic. We will change the lineup frequently, giving you more unique places to play throughout the year. But to do it, you must first download (or update) your GT Caddy app! 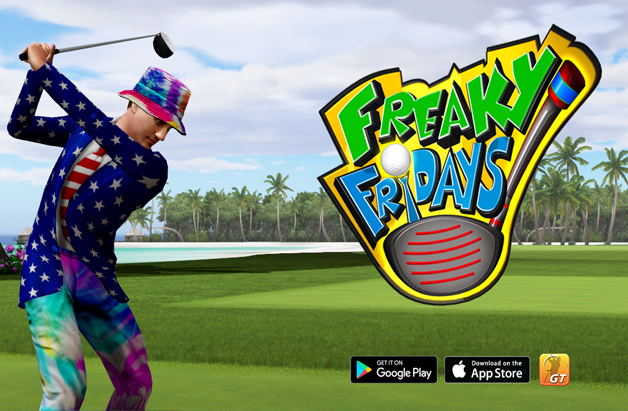 Beyond the existence of Freaky Fridays, you will also be able to build your own club sets, design your own golf ball, dress your golfer, check contest history across all LIVE game modes and so much more. It’s the game away from the game—an app that was designed to suit all of your Golden Tee needs. Whether you’ve been playing for years or looking to dive back in, now is the time to download the Caddy and explore this exciting new addition and more.